Dog ears come in various shapes and sizes; floppy, folded, small or large. Unlike humans, a dog's ears are a central feature of the dog's face. It takes around 18 muscles to rotate, raise, tilt and lower their ears. They can even move them independently and any dog owner knows how ear movement can add to your dog's facial expression. Dog ear muscles work hard to serve two very important purposes: hearing and communication. 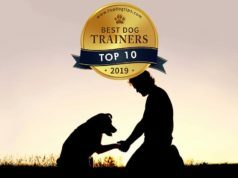 While they often look cute and one of the favorite parts for the dog owner to play with, there are a few things pet owners must know about dog ears, how to care for them, and things not to do. Dog ears are an essential part of dog's body language and are even more important in reading your pet's mood than his tail. When your dog is interested, his ears will perk up, or when she is sad, she might droop her ears, and of course, if your dog feels threatened her ears will be flat against her head. Dog ears that are forward means your dog is paying close attention to something or may also be aggressive. That is why it is a good idea to read other body language clues to gauge the mood of your, or other dogs. But other than showing a Fido's mood, dog ears are also remarkable hearing devices, so much so that when you are fast asleep at night, it is still noisy for your dog because he hears the smallest sounds. Sounds you don't even realize exist. Your dog's ears are far more sensitive than human ears and are capable of hearing at a higher frequency. This is how and why dog whistles work only on dogs. While nose is their primary tool of sense, ears are the second. Dogs actually rely on their ears more than on their eyesight. They turn their heads to locate the source of a sound and rotate their ears to precisely target the origins of what might be an intruder, a rodent or a visitor's car pulling up in the driveway. 1. Your dog's ears are important for balance. If your dog is unsteady on his feet, head to the vet. Inner ear infections are a frequent cause of loss of balance. 2. It is true that a dog can hear things we can't but scientists say dogs can only discriminate resolutions of about one third of an octave. Humans can discriminate resolutions as fine as one twelfth of an octave. Also, the frequency of sound a your dog can hear might be higher than what you can, but is not as high as what a cat hears. 4. Dogs have the ability to filter out certain sounds and tune into others. For example, your dog will notice the sound of her food bowl being filled over the sound of the TV or other noises. 5. Puppies are born deaf. 6. 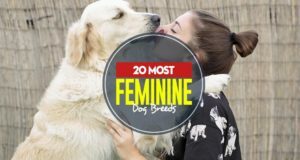 Some breeds, for example Dalmatians, are prone to hearing issues and congenital deafness has been reported in up to 85 breeds. 7. German Shepherds and other working breeds were bred to be on the lookout for trouble. Their hearing may not differ much from other breeds, but they will choose to listen more attentively due to the jobs they've been bred to do. For example, a Collie protecting a flock from predators uses his hearing as his first line of defense. 8. A Bloodhound named Tigger from St. Joseph, Ill., holds the Guinness Book of World Records' title for the dog with the longest ears. Tigger's right and left ears measure 13,75 and 13,5 inches respectively. The purpose of those very long ears is to help direct scent to the Bloodhound's nose. 9. Pete Scheifele, who is a University of Cincinnati researcher and also the director of UC’s Bioacoustics and Canine Audiology Clinic, is developing a hearing aid for dogs. Because of the importance of your dog's ears, they require attention and care to prevent simple problems. Taking care of your dog's ears is a relatively simple part of canine care but according to veterinarians, ear infections are one of the most misunderstood problems in dogs and ear cleaning can quickly be done in excess, causing more problems than solutions. “I sometimes compare canine ears to a flushing toilet. You flush the toilet and the water returns to the same level as before. When you flush your dog's ears, in a few days wax and discharge builds up again to the same degree as before,“ says Dr Dobias in one of his online blogs about dog ears. Some jokingly write that wolves and other canines in the wild do not come to world with a nanny to clean their ears. Their ears are self-cleaning. While cleaning dog ears is sometimes necessary, doing that too often can become a problem. It disturbs the healthy flora of the ear and increases the likelihood of an infection. Frequent dog ear cleaning can cause yeast overgrowth. Yeast is present in every dog's ear canal, but in a healthy ear, it is held in check by a varied population of beneficial bacteria. Yeast infections are also more likely to happen in dogs on carbohydrate and grain-rich foods. Repeated dog ear washing causes irritation and inflammation, and most cleaning solutions have chlorhexidine, an anti-bacterial soap, which irritates the ear further. 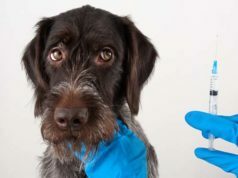 Chronic and incurable ear infections have an underlying cause that needs to be identified to stop reoccurring infections and safeguard your dog against hearing loss. When dog ears are inflamed, it's usually a simple signal that there are problems with your pet's hearing device, such as cervical spine misalignment, collar injuries, digestive tract imbalances and lumbar spine injuries. Cleaning your dog's ears without addressing the core cause elsewhere in the body will, according to veterinarians, lead to your dog's health gradually deteriorating and their ear problems becoming chronic. However, it is possible that other factors may cause infection in your dog's ears. 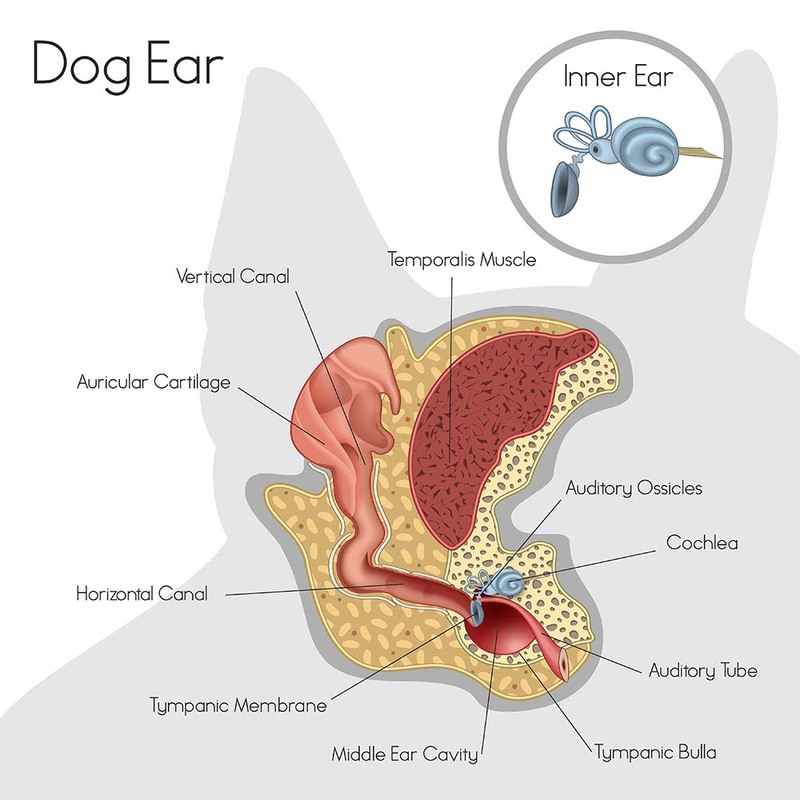 It is normal to see a light brown secretion in your dog's ear canal as your dog's ears are largely self-cleaning. The wax help to protect sensitive parts of canine ears. However, if you notice the amount of wax in your dog's ear is more than usual, it could be a sign of trouble and means it is time for you to get to the source of the irritation. If upon examination your vet discovers ear mites in the dog (usually brown or black ear wax resembling coffee grounds) as the cause of your dog's ear canal problems, your dog will receive treatment that will last for a month. These little critters are highly contagious and very difficult to get rid of. That is why it is very important to complete the treatment or the infestation will return. Dog ear mites will also escape to other parts of the body when treatment begins, causing inching and scratching all over. Don't be alarmed, just be sure to complete the treatment given by your vet. It is also advisable to bathe your dog weekly for four weeks using a pyrethrins-based flea shampoo and/or flea powder. 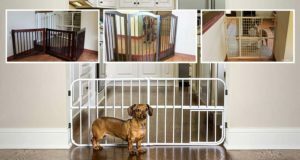 You can breathe a sigh of relief as most mites don't live long without your dog as a host. A dry ear is a healthy ear. When your dog's ears are damp, either from bathing or swimming, they are the perfect breeding ground for fungus or bacteria. Dogs with ears hanging down are even more at risk for infection as the chances of the ears drying out naturally are small. It is advisable to place cotton balls in your dog's ears before giving him a bath, and to dry him of thoroughly after a swim. You can also get an ear-drying solution from your vet to hep evaporate any water trapped in your dog's ear canal. Cleaning the dog's ears with a specially made dog ear cleaners can also be a way of doing it. Remember to maintain the microflora in your dog's ears. Balanced flora in a canine's ear canal, similar to in their gut, will prevent any nasty pathogens from growing and spreading. It's a good idea to get to know your dog's ears by checking them regularly. Once you know what your dog's ears should look like, it will be easy to spot any problems. Some breeds, such as those with longer droopy ears, are more prone to ear problems and may need more frequent ear care. Gently wipe the skin inside the ear with a cloth dampened with mineral oil or an ear cleaning solution for dogs. Octi-Clens and Epi-Otic are available at most pet stores. It is important to make sure the solution does not drip into the ear. Don't probe deeper than a half-inch into the ear canal. Going too deep can damage the eardrum. See the above video for a better explanation and read the full dog ear guide. Alcohol, as it will irritate the skin and cause pain. Also keep in mind that dogs don't like having their ears cleaned. 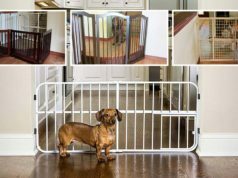 As owner, it is up to you to do everything possible to make the experience as pleasant as possible, for both you and your dog. Having someone help with dog ear cleaning you will make it easier. Your helper can give treats while you are cleaning your dog's ear. If your dog does seem stressed, wait for a few minutes before trying again. Punishment of any kind is a big no-no as this will cause a negative association with ear cleaning. Latasha Doyle is a writer, wife, and a fur mom living outside of Denver, CO. She has always been an animal lover and adopted her dogs, Clyde and Webster, in 2008. Latasha and her husband also have four cats for a complete and friendly family.